We all have our rituals whether or not we even really realize it. It could be the way we start the day, the number of times we hit the snooze button on the alarm, or the order in which we pee, brush our teeth, get dressed. To some degree the day doesn’t begin until we’ve gone through these rituals. We hover in a place just beyond the warm edge of sleep until our highly personalized sequence of rituals brings us into the day. For me, my day doesn’t start until I’ve had that first sip of green tea in the morning. There is something about that first sip in particular that for me marks the transition from night to day. It is something I do every. single. day. I’ve been thinking a lot lately about the power in these daily rituals and the impact they have on our health and wellness. A few years ago a good friend and mentor of mine introduced me to the idea of mindful eating. This is the idea of slowing down during meals, really thinking about and appreciating where our food comes from and taking the time to imagine in your head the story of where your food comes from. Tracing it back from store to farm to the farm workers who harvest and thinking about the soil and rain and sun and days it took for that food to grow; the sunrises and sunsets it must have experienced before reaching your plate. I wish I could say that I practice mindful eating with every bite that I take. The reality is that I have two small children and meal times are often a bit chaotic and while the kids occasionally will play the mindful eating “game” with me it is not the standard mode of operation around our table these days. But in the morning, when the kids are still asleep and the house is quiet. That’s when I brew myself a cup of tea, take that first sip, and enter the day. The crazy thing is until recently I’ve never really practiced “mindful drinking” with that morning cup of tea. It’s certainly something I look forward each day and savor but I’ve never traced the story back in my head. I’ve known that green tea has health benefits but beyond that I haven’t thought too much about it. My purchasing habits when it comes to tea have been largely driven by what’s on sale, sometimes organic, sometimes not. A recent blog post by Food Babe on what’s really in your tea was a good wake up call for me (if you haven’t checked her out, she is great!). You can read her article for all of the nitty gritty and the importance of buying organic when it comes to tea, but a personal take-away for me was the thought of cleaning up our daily rituals as a place that can have big impacts when it comes to health and wellness. The idea of living an absolutely “perfect” life in my opinion is unrealistic. We are all doing the best we can in this life for where we are at. We all have different resources and constraints when it comes to things like time, budget, knowledge, life experience, interests. All we can do is the best for where we in life and keep striving for better. This week I challenge you to think about those rituals that you do every single day from an angle of mindfulness. Is there a certain face cream or toothpaste you use every morning and if so what is in it and how might that impact your health? Or do you have a daily ritual of coffee or chocolate? Where are those products coming from, what are the lives like for the people growing those crops? How is it impacting the environment? 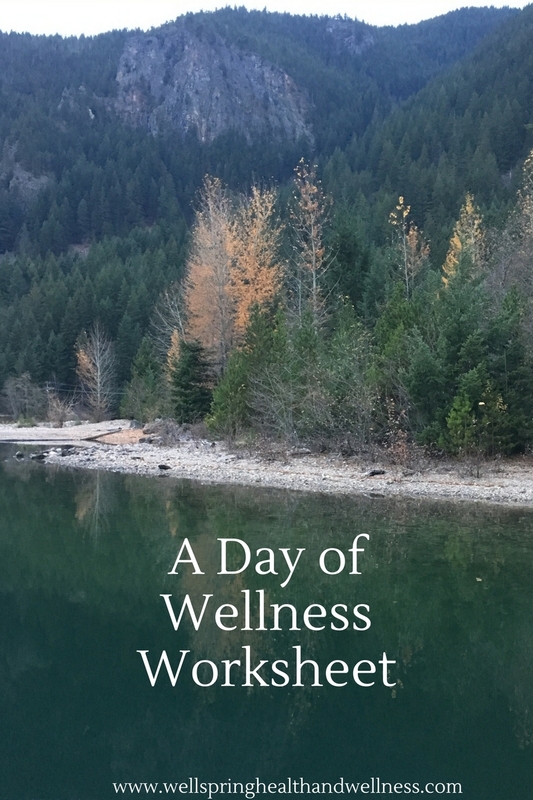 This week can you pick just one daily ritual to change or tweak so that you are having a positive impact on the world around you from your personal health, to the health of others, to the health of our planet. If you can make a change then you are helping to make this world a better place to live every. single. day. Great food for thought! A few months back, I switched my face care regime to a line of natural based products. I am religious about washing and moisturizing twice a day, every. single. day ; ) And it has definitely made a positive difference. Not only is my face smoother and more vibrant, I feel good about taking care of myself this way. Now I need to apply this to my hot drinks and beyond. Thanks for the inspiration! That is so great Lisa! The little tweaks we make to our daily habits can end up making a big difference. You are awesomesauce.